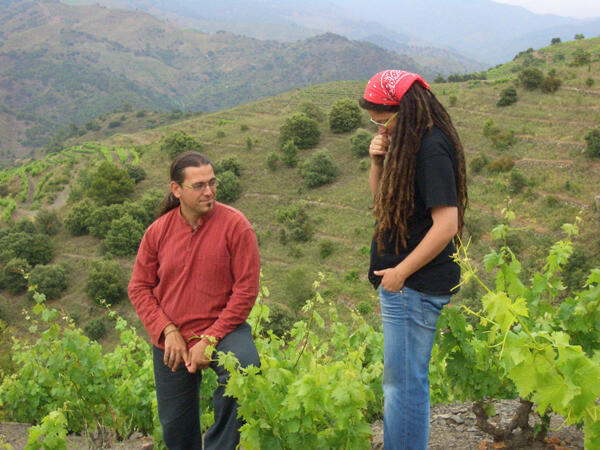 Família Nin-Ortiz' prestigious Priorat wines are made by Ester Nin and her husband Carles. Ester's day job is as viticulturist at Daphne Glorian's Clos I Terrasses, and they share a commitment to old vineyard plots and biodynamic techniques. Ester bought a tiny parcel (less than 3 acres) of old vines on the steepest hillside slopes above the village of Porrera, at 650 meters above sea level. A few years earlier Carles had purchased nearly 5 hectares of vineyards in the nearby site of Finca les Planetes, where he restored old vines of Grenache and Carignan. They farm using exclusively organically materials, biodynamic infusions and make their own compost. All the work is manual and fermentations are natural, taking place in neutral vessels such as foudre, demi-muid or amphorae, where the wines are also aged. These are incredibly pure, elegant, and balanced wines, with tons of ageing potential.